I focus on fairy tale retellings often, and right now it’s the season for them, since I’m participating in the Once Upon a Time challenge. I thought it would be fun–and maybe useful to someone–to spend a few Fridays gathering together lists of the retellings I’ve read. I decided to start with a relatively minor fairy tale that has been getting a lot of press lately, “The Twelve Dancing Princesses or The Shoes That Were Danced to Pieces.” It’s certainly not on a level with Cinderella as a cultural touch-point, but I stumbled on a number of retellings in the past few years, and then when I decided to write my own version, I started seeking them out. It seems to be a popular story at the moment. The Brothers Grimm story is “The Shoes That Were Danced to Pieces,” and is about twelve princesses who are wearing out their dancing slippers every night, even though they’re locked in their bedroom. Their father the king puts out a call for champions, who will each be allowed to spend three nights in the princesses’ chamber. If they can solve the mystery, they get to marry a princess. If they fail, they lose their heads. After a number of champions fail, an old soldier comes to try. With the help of an invisibility cloak, he’s able to follow the princesses through a magic forest of silver, gold and diamonds, across a lake to a castle where they’re dancing with twelve princes. By telling the king what’s happening, the soldier breaks the spell and marries the oldest princess. It’s fascinating to see what is and isn’t in the original story, compared to the retellings. There are definite trends in how the story has been retold. The original is entirely the soldier’s point of view, but most of the retellings are from the princesses’ perspective, or from a new, female character who’s seeking to help them. In the retellings, the king is well-meaning and at worst a bit stern; I’ve yet to read a retelling where heads are actually being chopped off. The princes in the castle are usually cast as demons or monsters, although I personally don’t think that’s clear in the original. And almost everyone struggles to develop twelve princesses as characters, which really is a remarkably large number to deal with. 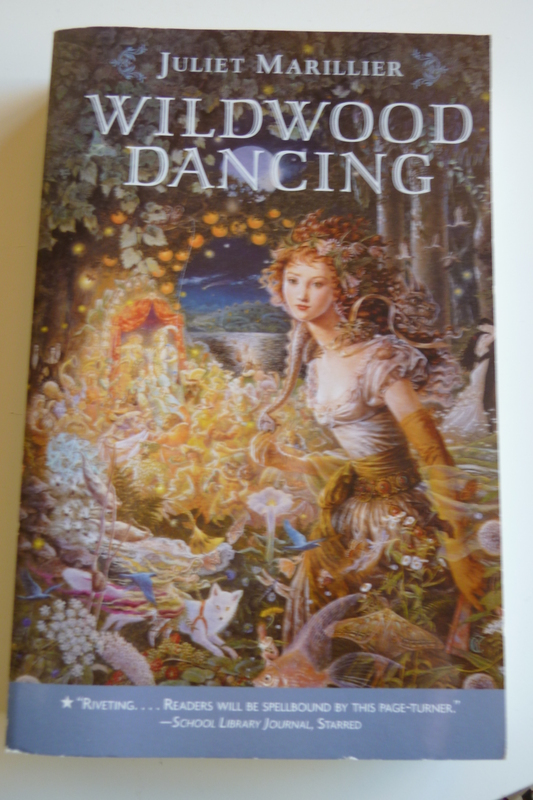 Wildwood Dancing by Juliet Marillier was one of my first retellings, and a very loose one. Only five girls, they’re not princesses, and they go dancing at a fairy court that is not as terrible as in most versions. This story combines with a retelling of The Frog Prince, so that brings in some significant different elements. Princess of the Midnight Ball by Jessica Day George is a much closer retelling, and one of the few that gives at least part of the story from the soldier’s point of view. It does better than most at developing the relationship between the soldier and the oldest princess–and I rather love that the hero is brave and strong and also knows how to knit (soldiers have to get socks from somewhere!) It also has some of the best-depicted princesses. 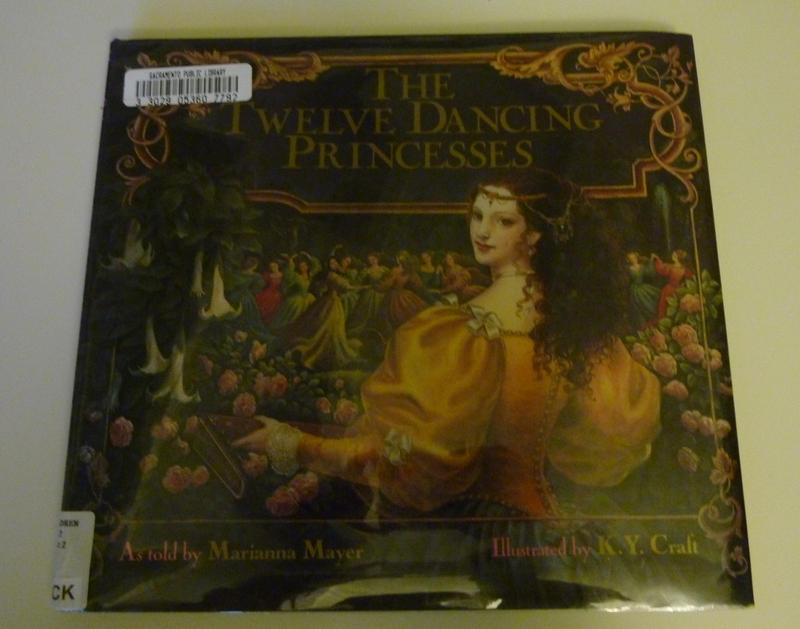 The Twelve Dancing Princesses by Marianna Meyer and illustrated by Kinuko Craft is a very beautiful picture book. It doesn’t do anything too exciting with the story (though it is another one from the champion’s point of view) but the illustrations are exquisite. “The Twelve Dancing Princesses” by Robin McKinley is a longish short story in her book, The Door in the Hedge. I had such high hopes for this one (I mean, Robin McKinley!) and they were only partially met. It’s a beautifully-written retelling with vivid imagery and all the details of description and character emotion that the Grimms always leave out. But…there’s really nothing innovative about it either. It’s pretty much precisely the original story (minus the head-chopping). 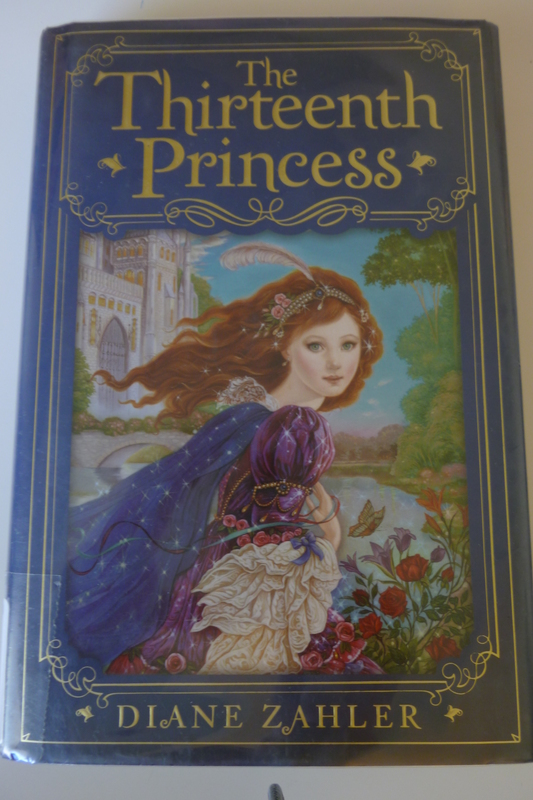 The Thirteenth Princess by Diana Zahler supposes that the princesses have a thirteenth sister, Zita. Their mother died when she was born and their father banished her to be a servant in his grief. She evades the spell that captures the rest. It’s a cute version in some ways, although the twelve princesses are unusually undeveloped as characters. The focus on Zita’s story means less focus on the twelve princesses’ adventure. The Phoenix Dance by Dia Calhoun is another one that brings in a new heroine, this time the royal shoemaker’s apprentice. Her master’s reputation is being ruined by the constantly worn-out dancing slippers–which, by the way, is a fantastic idea! The original fairy tales never address that kind of detail. I loved that premise, but then I didn’t love the heroine as well. This is also a fantasy look at bipolar disease, and while I respect what Calhoun was trying to do, I actually had difficulty getting a sense of the character through the mood swings. 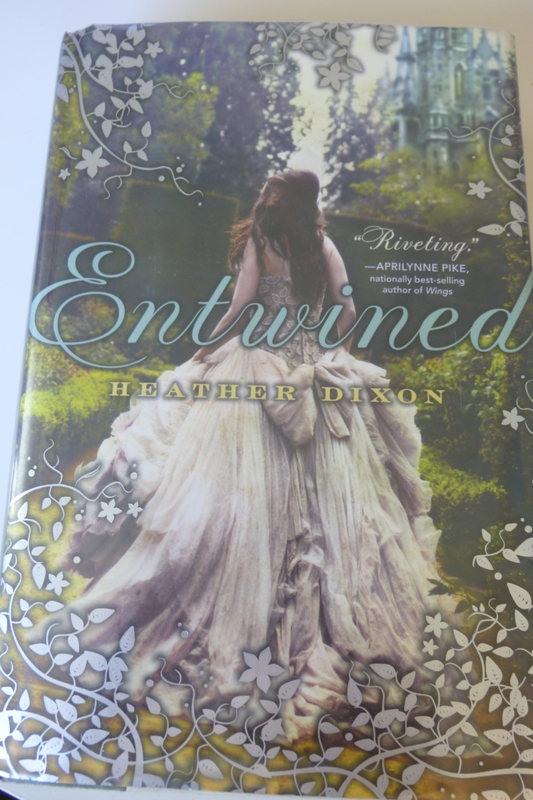 Entwined by Heather Dixon is one of the latest retellings, which made the rounds of all the blogs I follow. This one more than any other I’ve read emphasized the beauty of the dancing, and played with the princesses’ love of dancing. There are twelve princesses named in alphabetical order, which was very helpful for keeping track of the relatively bland younger nine. The Night Dance by Suzanne Weyn meshes the dancing princesses with Arthurian legends. It’s a clever idea, but the book is hampered by some very slight characters. They served their roles, but I can’t remember a single character’s name anymore. 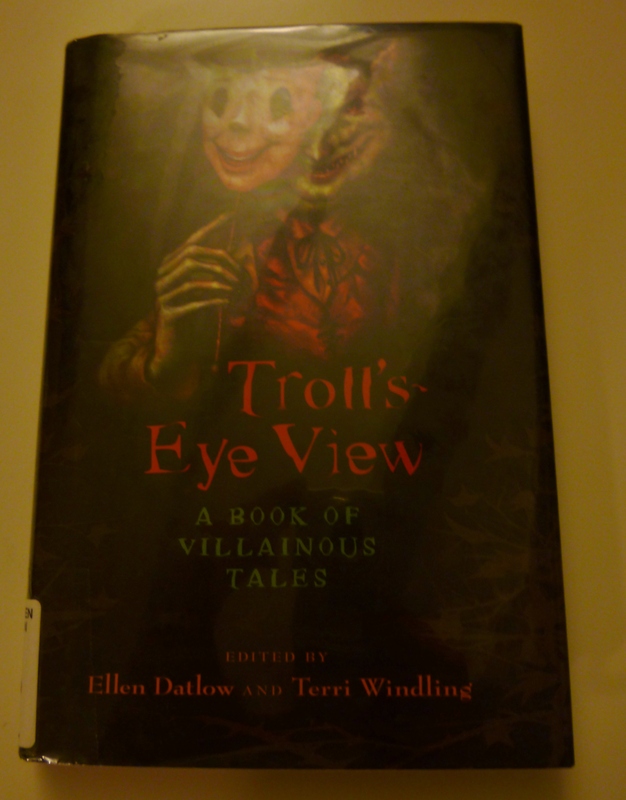 Troll’s Eye View has “The Shoes that Were Danced to Pieces,” a short story by Ellen Kushner. Mostly pretty light and silly, this captured better than any other version how annoying it could actually be to have eleven younger sisters. The princesses are universally devoted to each other in other versions, and it was fun to see an oldest princess who finds her clamoring crowd of sisters overwhelming. There you have probably more versions than you could ever actually want. 🙂 Recommendations…if you want a close retelling, go for McKinley’s short story. If you want something close but more elaborated upon, read Princess of the Midnight Ball. If you want to look at beautiful pictures, definitely get Craft’s picture book. And if you just want to know which book is overall the best read…it’s only a loose retelling but a wonderful book…Wildwood Dancing. And if I’ve missed a version–let me know! You do have two I haven’t read – The Night Dance and the Ellen Kushner story – though I maybe should have re-read the Robin McKinley story for the blog, as it’s been a while since I read it. Thanks for sharing! And you’re right, it could make such a beautiful movie version! The Night Dance isn’t really worth it, unless you’re going for completion. The Ellen Kushner story is a lot of fun though! I was actually a bit surprised by the number when I started putting them all together! Well put! I thought that story really lacked anything original–BUT it was McKinley! And it was beautiful writing, even if it was tracing over a story I already knew. Sounds like these retellings have something for everyone! I take it only Meyer’s book has pictures (other than on the covers, of course). Seems to me you could do a lot with the visuals in this particular story. I don’t recall other illustrations–but you’re right, there are many images here (the dresses, the forests, the lake) that would be amazing for pictures. Someone needs to do a very lavish movie version!